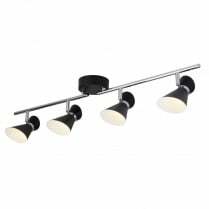 New for 2018, Searchlight presents the Donut range of spotlight fittings. 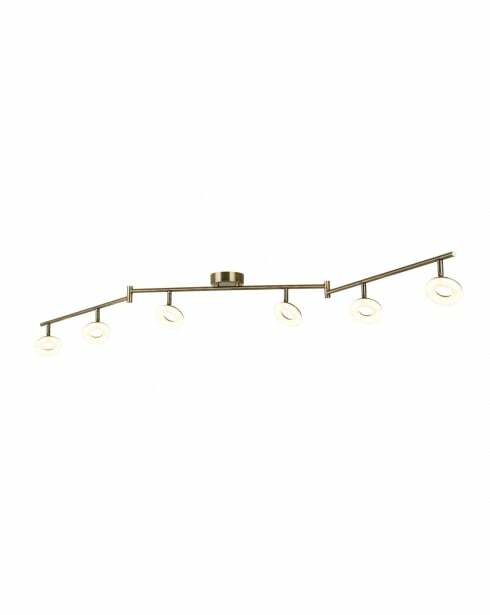 Available in either antique brass or polished chrome, the Donut series comprises a single spot wall light with built-in switch, a three light ceiling cluster, and four and six light ceiling bars. 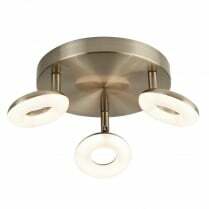 The Donut range features integrated LEDs which cannot be replaced and all the fittings are incompatible with a dimmer switch. 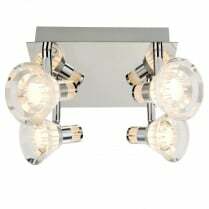 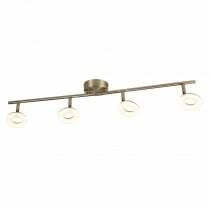 The 8906AB is a six light bar fitting finished in antique bras. 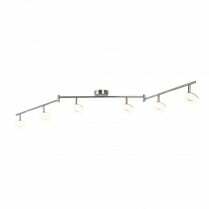 The 8906AB provides 1520 lumens of warm white (3000K) light and has a height of 19cm, a width of 15cm and a length of 184cm.